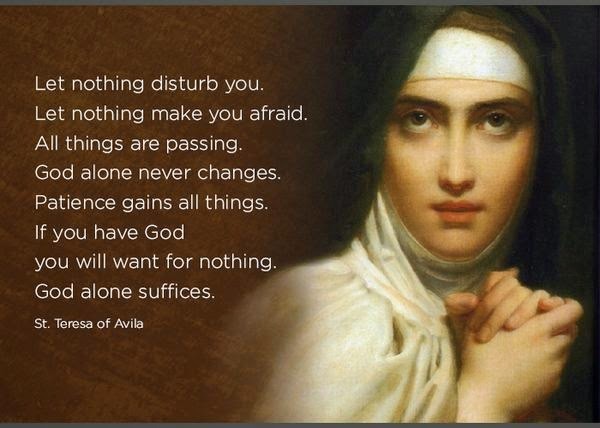 Today we celebrate the Feast of St. Teresa of Avila, who said, "Prayer is an act of love." St. Teresa pray for us. Pope Francis has sent a message to mark the Jubilee Year for the 500th anniversary of the birth of St Teresa of Avila, a Discalced Carmelite and Doctor of the Church. On this her feast day, the Pope writes that St Teresa teaches us that the path to God is the path towards love for one another. 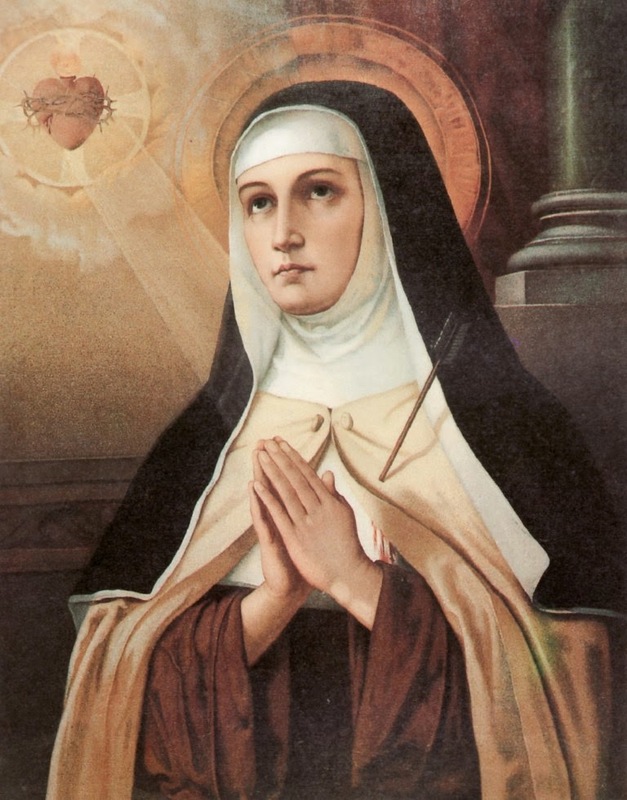 Focusing on the Carmelite nun’s mystical experience, the Pope says that it did not separate her from the world or from the concerns of the people, on the contrary, he adds she has given new impetus and courage for action." Pope Francis notes that what St Teresa has to say through her writings has "perennial relevance" and he adds that it applies to individuals in their journey towards God and men.